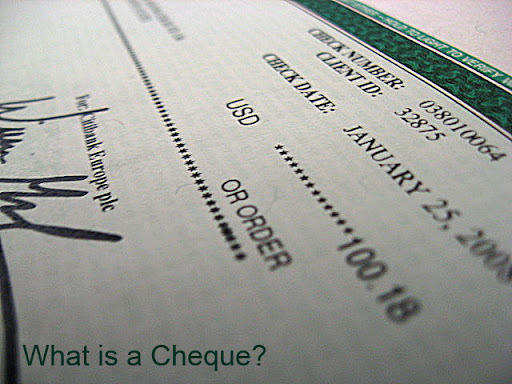 "Cheque is an instrument in writing containing an unconditional order, addressed to a banker, sign by the person who has deposited money with the banker, requiring him to pay on demand a certain sum of money only to or to the order of certain person or to the bearer of instrument." there is no neeed of a revenue stamp for receiving a cheque. if we issue a cheque to a party,and suppose we give any additional information by mere writing anything on the back of the cheque, will it overrule the instructions of the cheque? obviously not, but i have a case .. need some inputs. Actually, there is no provision in the banking and negotiable instrument act which prohibits the drawer of the cheque to write on the back of the cheque. So, there is no chance of any legal defaults. I have not known to all these information before.It is really a useful information to anybody like me.